There’s nothing more classic (or bridal) than a strand of pearls. And while these stylish accessories are definitely bridal, there’s nothing classic about them. From trendy ear jackets to chic chokers to embellished sandals, prepare to say “I do” to all the pearl pretties below. In a perfect world, we’d register for everything under the sun and it would all be topnotch, the best of the best. But let’s get real here people, that’s not feasible or fair. So how to choose which kitchen appliances to go big with, and which ones to keep a bit more reasonable? We rounded up registry essentials, sharing both sides of the spectrum, so you can choose the one that best fits your future! Is it too much to call these two our heroes? Maybe. But any couple that includes a stop at Shake Shack in their engagement session is worthy of all the heart eye emojis in the world. Tommy and Amber planned an entire evening in Chicago with Shannon Duggan along to capture their city adventures, including sweeping skylines, romantic strolls, and delicious burgers – of course. 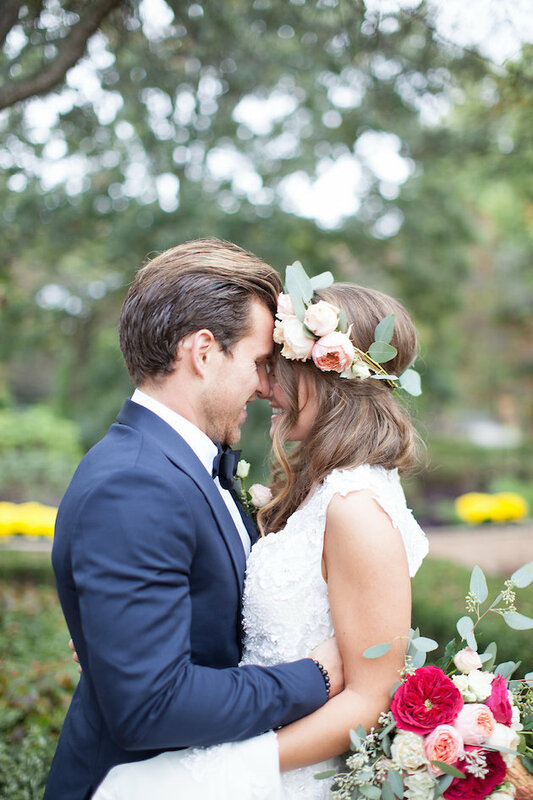 From Shannon Duggan Photography…Amber and Tommy moved to Chicago immediately following college graduation. Wanting to make the life that most young couples dream of. They chose this gorgeous city after living in Chicago one summer during college, sharing a shoe box sized apartment, and falling even more in love with the city, and of course, each other. The night of Tommy’s proposal Amber was completely clueless. These two are major foodies, so naturally Amber made a dinner reservation during Chicago’s restaurant week. I wanted to capture the adventure these two have shared in this incredible city, and I truly feel this engagement session does exactly that. We ran around the city all evening, from Three Arts Cafe in the gorgeous Restoration Hardware, to Shake Shack, and of course the incredible North Avenue Beach. Chicago is truly a city I can’t get enough of, and I loved photographing the love and adventure these two have shared in it. I’m a sentimental person and that affection extended into my own wedding. I strived to create unique keepsakes from my big day that I’ll continue to treasure for years to come and I love whenever SMP discovers new ideas – and we got a whole bunch of them for you ladies today! The Garter Girl is here to share her favorite ways to keep those memories alive; which ones do you plan on recreating?! You have your mother’s (or grandmother’s) wedding dress, but you don’t want to wear it for your wedding. There are many unique ways to use this family heirloom at your wedding, such as turning the sleeve into a cover for your bouquet stems. Try cutting off the sleeve of the dress and using it as a wrap for your bridal bouquet. Many vintage wedding dresses actually had sleeves that were decorative with lace, beads and other trims. As a bouquet wraps, you’ll be able to carry a beautiful family heirloom with you on your wedding. There is no wedding heirloom sweeter than a family photo. But instead of the traditional family group picture of everyone all lined up, what about recreating a photograph from your parent’s or grandparent’s wedding album? Is there a iconic photo of your parents on their wedding day? Try using the same pose or the same expression on your wedding day. You can contribute to a family memory and create a new tradition by recreating a wedding photograph and then putting it in a frame along with the old family photograph. Once a scary thing that sent every unmarried wedding guest running for the bar or to hide in the restroom, the wedding garter is having a come back in a major way. But these bridal garters aren’t for tossing. Today’s wedding garters are pretty and elegant, designed to be modern heirlooms for saving as something special from a wedding day. Even better, the new wedding garter designs are meant to be passed onto future generations to come in your family. Guest books of the past were just that, books that wedding guests signed upon entering the wedding. But who wants a book full of signatures? Modern guest books are creative and thoughtful. Today’s wedding guest books have taken a turn for the practical, into something that brides and grooms would actually use and enjoy well after the wedding is over. Think thumbprints on a canvas, a signed piece of furniture (or a canoe! ), a jar filled with well wishes, or marriage advice to be opened up on anniversaries. Sure, we’ve all heard of the first look where your photographer captures your expressions before you walk down the aisle to the ceremony. 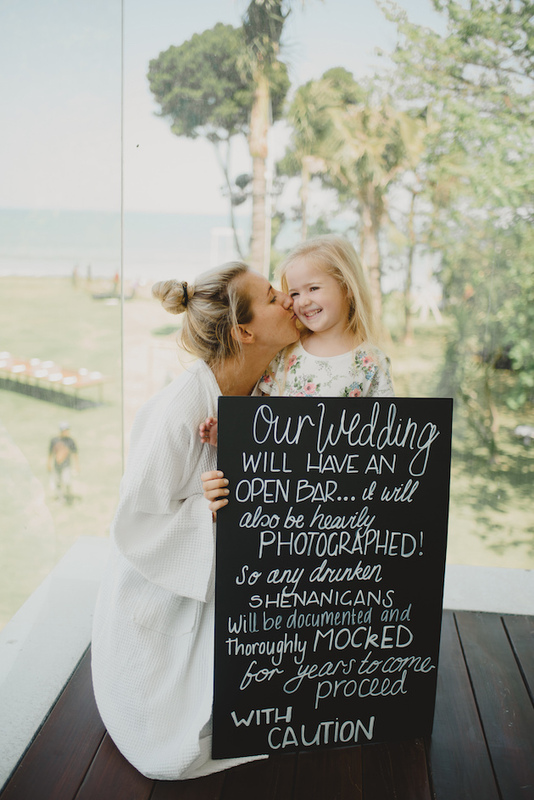 But what about a wedding day family first look! Your parents and siblings will be just as excited and full of emotion to see you on your wedding. 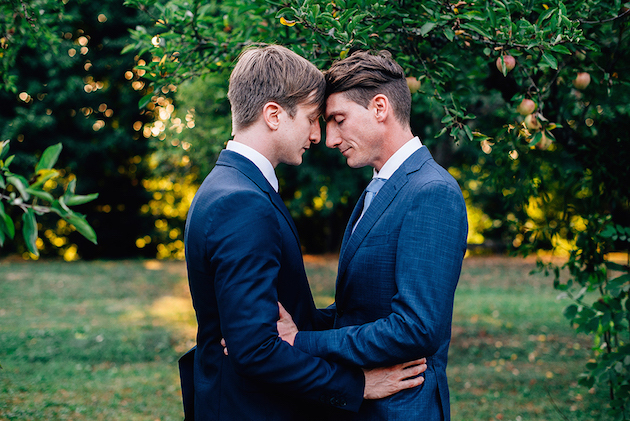 After the first look with your fiance, ask your photographer about a first look for your family too. A family first look can create into those priceless wedding heirlooms you’ll cherish forever. As your wedding ceremony unfolds or maybe during the cocktail hour of your wedding receptions, couples are opting for a live painter to come to their wedding to hand paint the event as it takes place. Not only is this an interactive and fun thing for your wedding guests, but the end result is a beautiful and very meaningful piece of artwork. This live painting is a unique wedding heirloom that you’ll be able to hang in your home forever. Writing your own wedding vows is coming back in wedding ceremony vogue. More and more couples are investing wedding planning attention into every little thought and detail of how their wedding ceremony will unfold right down to the music, the guest seating and taking the time to write their own wedding vows. A hand calligraphed hardcover wedding vow book is a beautiful way to preserve your vows so that you can and look back and reread your vows and so can your children. We’re excited to share that Shine invitations is currently offering FREE SHIPPING on orders over $500 (US orders only) as well as a free sample kit featuring the invitation of your choice, color charts, paper samples, and an example Save the Date! Don’t miss out! For our California Brides… Discounts from The Ranch at Laguna Beach and Weddings by Susan Dunne! For our Tri-state Brides… Discount from Femina Photo + Design and giveaway from OLLI STUDIO! There’s nothing like kicking off the weekend with a bang, and these bright, coral peonies have certainly done the trick. But they’re only the beginning of a stunning waterside affair, with so many heirloom moments woven in along the way. Kristin La Voie captured every bit waiting for you in The Vault! From Kristin La Voie Photography…Our sweet couple Kensington and Michael have known each other forever (since Kensington was 15!) and they shared a very intimate wedding with their closest family and friends (about 25 in attendance) at the Lodge at Pebble Beach, followed by an intimate dinner in a library room at the Inn at Spanish Bay. Tons of family heirlooms were incorporated into the wedding, including a 1913 pin passed down for generations that women in Kensington’s family wore on their wedding day (which can be seen pinned onto her dress), table runners made by her Great Great Grandmother, her Grandparent’s cake topper, her Great Great Grandmother’s ring pillow, and more, which start back in the 1800s! The entire day was absolutely breathtaking from beginning to end. Their ceremony took place on the green at the Lodge overlooking the most beautiful blue water and the famous Pebble beach golf course. It was like a dream! Their cocktail hour continued over at the Inn at Spanish Bay with it’s picturesque rolling hills (with it’s own bagpiper!) and crashing waves. All of their guests sat at one long table for dinner, inside a library private room. The bride and her friends even surprised their guests (and groom!) with an ode to Beetlejuice with the “Day-o” song and dance! Girl walks into a local bar. Girl locks eyes with boy, who happens to be the DJ. Boy has an instant feeling she’s something really special. And the rest, as they say, is history. Read on for the full love story plus beautiful engagement photos from the lens of Meredith Sledge. From The Bride… Jasen and I met three and a half years ago. He was DJ’ing at a local bar and he said as soon as he saw me, he had a feeling. We ran into each other again two weeks later and he asked for my number. I didn’t think this popular Richmond DJ would ask for my number! We went out the following week and the rest, they say, is history. To be completely honest, it hasn’t been an easy road (are relationships ever easy!?). Jasen was different than any guy I had ever dated, the biggest thing being the age difference of 13 years. Because of this, we had a rocky first year. I made the choice to fight for our relationship because I felt something in my heart that I never had before. Jasen accepted me for who I was. I rarely felt like I could be my true self in a relationship and, not only did he allow me to be open and honest, he brought out the best in me. He continued to do this through the hard times. We laugh together. Every. Day. His energy lights up a room. We love to spend time with family and friends. Spring and fall weekends are filled with adventuring throughout Virginia. We lead a busy life (he’s a real estate agent/DJ on the weekends and I am a 5th grade teacher), but we always make time to check out the latest movie, blast music in our house and make a terrible attempt to sing like Adele, and be adventurous in our kitchen. I am absolutely one of the girls that has been thinking about their wedding since they were 12. I am addicted to Pinterest and already have a “vision board” for my wedding! I want to describe my wedding as elegant, romantic, fun, and cozy and I can’t wait to get married this winter! If this bouquet is any indication it just goes to show that nature always provides. Because this heavenly handful? It was (believe it or not) mostly foraged finds thanks to the madly talented Colonial House of Flowers. From there it’s a day layered with elegance and delicious details – like this pretty from Savannahs Hall of Cakes! 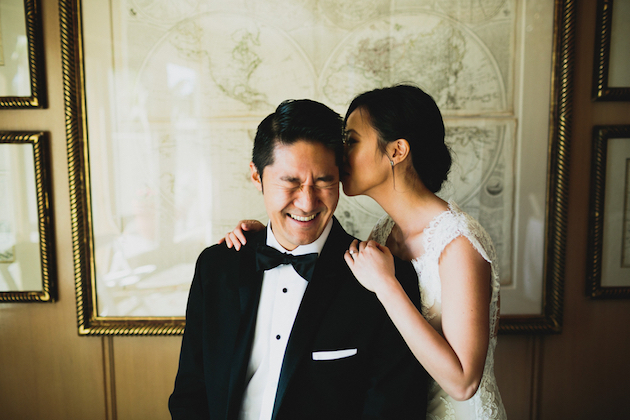 All in all it’s a inspo captured by Jeremy Chou Photography that you’re sure to love and we’ve got it all in The Vault. From Colonial House of Flowers… Just above Savannah, Georgia and below Charleston, Okatie sits in the most gorgeous coastal countryside you’ve ever seen. This region also boasts some of the most talented vendors in the South East. For this workshop, the lovely ladies of Design Studio South collaborated with the uber talented designer Tristan Needham and when they asked us to be a vendor, we knew we had to be involved. By incorporating a floral recipe that included greenery foraged up to the last minute and even blooms clipped by my daughter and sister from my own garden, I helped welcome the group of photographers the most natural way I could, amid the Spanish moss and 600 year old oaks. Beachy Bachelorette Party? You Need These Mermaid Gift Sets! Hello brides-to-be, Olivia from LivvyLand here and I’m sharing some fun news…I went to Costa Rica for my destination bachelorette trip! For our tropical beach getaway to celebrate I crafted my ‘maids a fun gift to welcome them to paradise and as soon as we touched down in Costa Rica my fabulous crew went from bridesmaids’ to mermaids for an entire week of beach festivities! Ramblers | Since we’ll be roaming from the pool to the beach, I opted for cups that can keep drinks extra cold throughout the day. I worked with Rambler On to customize YETI Lo Ball cups for my bridal party – each one says “Let’s Be Mermaids” on one side and then has their monogram on the back. I think we’re all set for a “cheers” photo opp! Nail Kit | When doing some extensive mermaid research, I spotted this idea on Pinterest and knew I had to add it to my gift set! I got super lucky and found the glittery scale nail files at CVS (honestly, I’m not sure the cashier has ever seen someone so excited about nail files, ha!) and then scooped up the polish colors by Essie. My color scheme was coral and a mix of light blues and mint greens, so I grabbed polish colors within that spectrum. Finally, I tied each one with a dash of twine and voila, cutest little nail polish sets! Bracelets | A beach getaway just calls for beaded bracelets with bursts of color, and when I saw these pretties by Gold & Gray I was completely hooked! I got one per gal, but if you’re feeling ultra festive you could pass out a few per person so they can stack them up! Matching Tees | I love the idea of a matching bachelorette bridal party, and after scouring the internet for the perfect tee fit for a flock of fabulous mermaids, I decided this adorable coral Wildfox number was the one! For starers, it’s the color of Ariel’s hair (Little Mermaid reference), and two, I love the word ‘Mermaid’ written across the front – it’s got that effortless, playful look that I was hoping to find. Not to mention, everyone can use a breezy tee to throw on over a swimsuit after a day at the beach! Shell Hair Pins | Such a fun and easy DIY activity! All you need is a hot glue gun, a pack of bobby pins, some small shells and pretty paper. I ventured to Michael’s for all of the items – they have a ton of itty bitty shell options in different colors to choose from. Mermaid Inspired Cards | A gift set is never complete without a super adorable card that just sums it all up! My sister is an artist and runs the Etsy store Kimberlee Artworks, so I knew she could make my vision come to life. She hand painted these watercolor prints with pastel scales in the background and handwritten text – beyond precious and so perfect to top off this mermaid gift package! 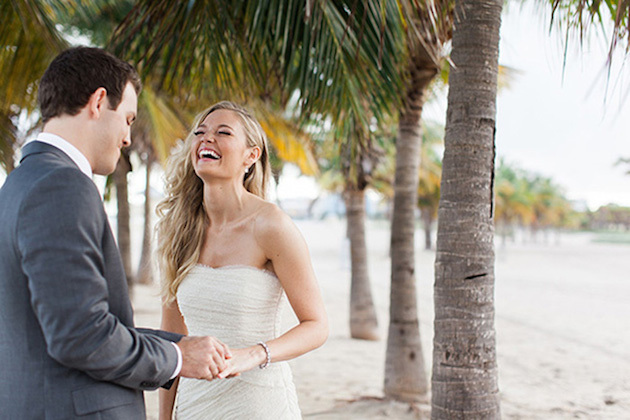 Follow Olivia’s Journey down the aisle! You’ve seen Father of the Bride, right? It’s pretty safe to say we’ve found the real life version that’s better than the movie any day. After becoming engaged, these two knew her childhood home was the perfect spot to tie the knot, and with the help of Intertwine Style they transformed her parent’s garden into a ceremony masterpiece. 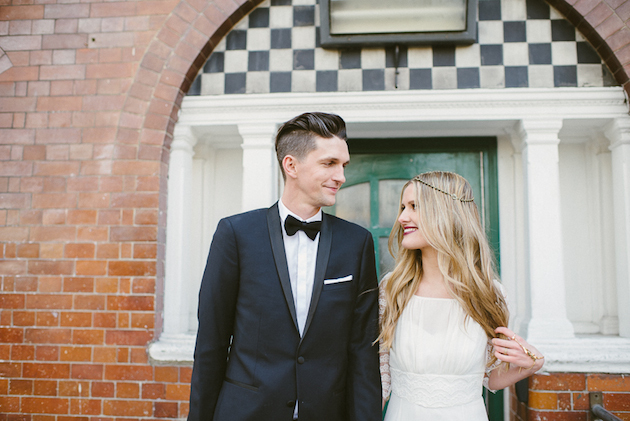 Almond Leaf Studios worked their usual magic behind the lens and there’s even more to pin this way. From the Bride… I met Alex through mutual friends about four years ago. We hit it off instantly and talked to each other for the majority of the night. His intellectual curiosity and sense of humor are what initially drew me in and I have been smitten ever since! He proposed to me in our apartment kitchen on a Friday night with my dream ring from Satomi Kawakita. The ring is extremely simple and not your typical engagement ring by any means, but it is exactly what I wanted. The beauty and meaning behind the simplicity of the ring is perfect. We had friends over for champagne and dreamed of things to come! My parents have maintained a beautiful garden at my childhood home of about 22 years. Growing up, the garden was a place to hang out and nibble on berries, pick flowers, and just enjoy the outdoors. It is a place I hold dear and when Alex and I got engaged it was instantly my ideal venue for our ceremony. Aligning our reception venue with the lush, dreamy, and nostalgic vibe of my parents’ garden was key for me. Luckily, a generous family friend offered up her peony farm, Oscar-Morse Peonies, which was a dream come true. We visited the farm as the sun was setting and I knew it would be perfect. I let the venues essentially guide the rest of my decision-making. For floral design, we were lucky enough to have peonies from both Oscar-Morse and my parents’ garden. Having watched my parents’ peonies bloom yearly as a child, it meant so much to see them in bouquets and arrangement on our big day. Beyond the sourcing of the flowers, Kelly Lenard was a genius with the design! I wanted lush, soft, muted colors along with some blush/pale yellow/ivories. My dress was a color called “Butter” so I wanted some yellows in my bouquet to complement that. I also wanted a bit of an edge to the all the softness, which is where we integrated smoke bush, Do-Tell peonies, and rex begonia leaves. She executed on the vision flawlessly. I wanted my dress to be chic, not fussy, and I wanted it to be Houghton Bride. When I saw Alice in Ivory was holding a Houghton trunk show I instantly booked an appointment. I am entirely obsessed with what Houghton has been doing in the bridal industry, and while Katharine Polk’s designs can lean a bit more “City Bride,” I *loved* every dress I tried on and ultimately chose the Kate Dress. It was the perfect fit for me and the garden wedding. To make it a little more ethereal, I added the Jennifer Behr Coronet and a thin belt. For bridesmaids I wanted a more formal spin on the slip-dress and Joanna August’s Kimi dress was a perfect fit. The day was absolutely perfect and I cannot thank our vendors enough for all that they did to make it run seamlessly! The day went by faster than I ever could imagine and Almond Leaf Studios did a great job at capturing the day and emotion. We’ll look back on these pictures for years to come and think of what a happy day it was!